When you receive your child's next NDIS plan - you can refresh your knowledge about what the different parts of a NDIS plan mean. When you get your child’s next NDIS plan after their plan review meeting, it’s a good time to refresh your knowledge of what the various parts of a NDIS plan means, as there may be a bit to get your head around! For a child with disability or developmental delay, their NDIS goals and needs are likely to change for each year’s plan, so their second and third NDIS plan may look a little different to their first. 1. What if I'm not happy with my child’s new NDIS plan? Your child’s second or third NDIS plan may look a little different to their first. Regardless, when you receive your child’s plan it is important that you review it very carefully to make sure it has all of the support your child needs to achieve their goals. 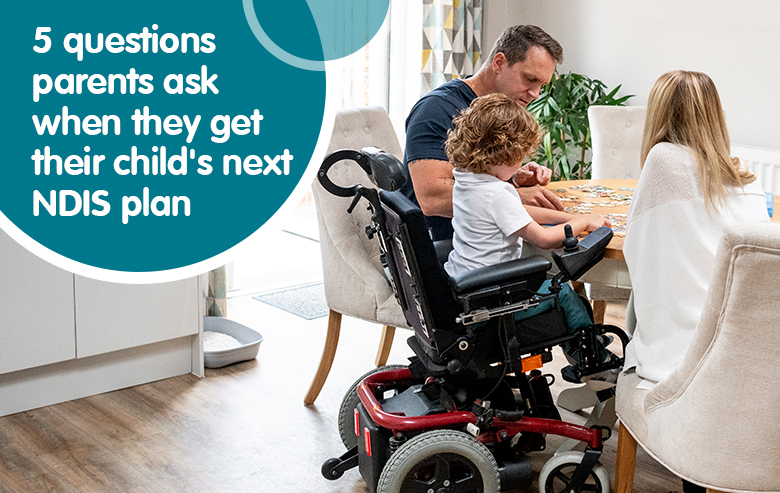 If you are not happy with the plan, you can discuss your concerns with your child’s NDIS representative (either the NDIS, Local Area Coordinator or an Early Childhood Partner, depending on your child’s age). You can also go through a plan review process with the NDIS. This process is outlined in your child’s plan cover letter. It is important that you start to use your child’s NDIS plan even if you are not 100% happy with it, and then go through the review process at the same time. 2. How do I implement my child’s NDIS plan? You may be familiar with this process from your child’s first NDIS plan, so hopefully things will be a little easier for you this time! After your child’s NDIS planning meeting, there are a number of steps you need to go through before your child can start to use their NDIS supports. 5. Your child’s next NDIS plan is underway. For more information on implementing your child’s next NDIS plan, get Yooralla’s free guide to Implementing your NDIS plan. 3. Do I want to change service providers for my child’s next NDIS plan? If your answer is no, or you’d like to investigate whether other service providers could better meet your child’s needs, you can start researching alternative service providers. Once you’ve decided who you want to deliver your child’s services and supports for the coming year, you will need to contact them to set up your child’s services. If you want to continue using an existing service provider, you will still need to let the service provider know that your child has a new NDIS plan, so they can set up a new Service Agreement for you. The Service Agreement will ensure that the service provider is able to provide your child with supports. Without the new Service Agreement, there may not be continuity of service for your child. Find out what supports Yooralla can offer your child and family. 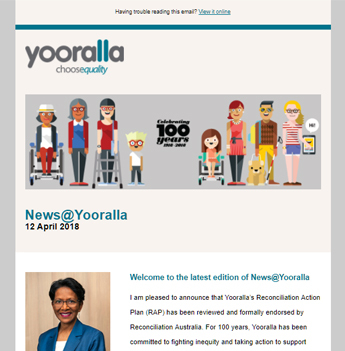 If you choose Yooralla, you can set up your child’s Yooralla supports under a NDIS plan by contacting us on 1800 966 725 or intake@yooralla.com.au. 4. How do I connect with service providers? Once you have your child’s plan, you can contact service providers to set up your child’s services. You need to speak with service providers to talk about the services your child needs. It will benefit you if you share your child’s NDIS plan with your service providers so they have more detailed background on their goals and support needs. However, you don’t have to provide your service provider with your child’s NDIS plan if you don’t want to. 5. What is a Service Agreement? A Service Agreement is a contract between you and your child’s service provider, which will outline how they will deliver the supports in your child’s NDIS plan. You need to sign and return a Service Agreement to your chosen service provider/s for your child’s supports to begin. You can choose one service provider to deliver all of your child’s supports, or different providers for each of your supports. Yooralla is able to provide many types of supports, and this can be covered in one Service Agreement.